Moland serves the cold dish of revenge in the Nordic black comedy bloodbath In Order of Disappearance, but what sets the film apart from other revenge thrillers, including the recent Norwegian-Canadian co-pro Hevn, is that the film draws upon the futility of revenge to create a messy cycle of violence. 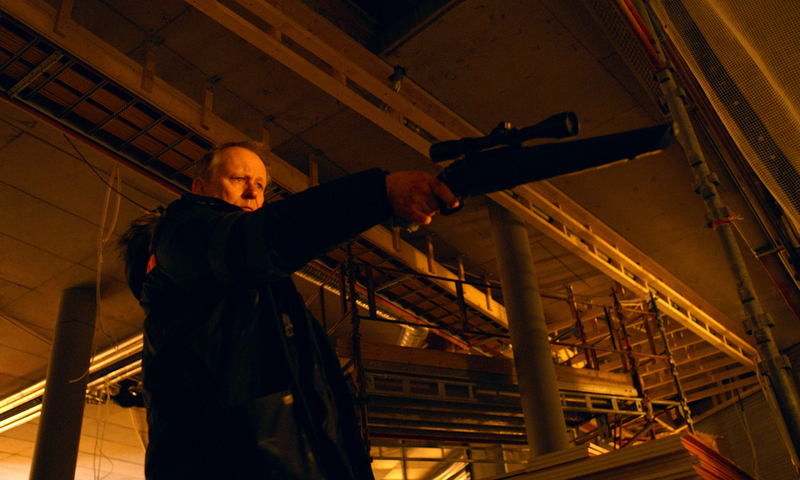 In Order of Disappearance satirizes the snowball effect of violence as one kill brings another. The film puts a revenge-seeker in an ironic position as snowplough driver Nils Dickman (Stellan Skarsgård) receives the title of Man of the Year from his community only to learn soon thereafter that his son died of a drug overdose. A good parent and an altogether decent man, Nils decides to uphold his values and name by cleaning up the community. Fargo meets Dirty Harry as the bodies pile up and the snowbanks of Norway become speckled with blood. In Order of Disappearance doubles down on black humour as violence breeds more violence and one carpet-wrapped corpse after another goes hurtling down the fjords and into oblivion. Nils develops an insatiable bloodlust and decides to kill every hoodlum who played a hand in snuffing out his son, who, as the film reveals early on, was collateral damage in a turf war between Norwegian kingpin The Count (Pål Sverre Hagen) and his Serbian rival Papa (Bruno Ganz). Players on either side of the conflict just start bumping off folks at random in an effort to get revenge on one another, and the film leaves some inept cops scratching their heads and hurling chunks in the snow as they wonder what happened to their idyllic winter wonderland. Skarsgård often plays the baddie, but he’s a force of darkly funny gallantry as Nils becomes a renegade anti-hero. The film draws on his rugged everyman persona to create a stalwart of a community with whom one can initially sympathize and find humour, just as it plays upon Hagen’s pretty boy charm to create an uptight yuppie of a kingpin. The Count is an all-out loon to Nils’ even-tempered anti-hero. The baddies, meanwhile, are all bigots and hotheads with hilariously myopic views of the world. They’re boys with toys. Morland’s direction favours the comedic irony of this violent affair as the humour both undercuts and amplifies the carnage. The film is a disgusting mess of violence as Morland makes the audience watch the kind of depravity revenge breeds. With each kill, though, In Order of Disappearance punctuates the carnage with a title card commemorating the life lost. It’s a fun, thrilling, and chilling reminder that everyone loses in the game of revenge. In Order of Disappearance opens in Toronto on Friday, August 26.